The 6th Engineer Support Battalion (6th ESB), is an engineering battalion of the Marine Forces Reserve. Their headquarters are based in Portland, Oregon and they fall under the command of the 4th Marine Logistics Group. The Battalion was activated on 1 November 1944 at Guadalcanal as the 6th Engineer Battalion, 6th Marine Division. During World War II, they participated in the Battle of Okinawa and the Occupation of Japan (August–November 1945). In October 1945, they were redeployed to Tsingtao, China. The battalion was deactivated 26 March 1946. The Battalion was reactivated on 1 November 1957 at Swan Island, Portland, Oregon as the 3rd Engineer Battalion of the Marine Corps Reserve. On 1 July 1962, they were redesignated as the 5th Engineer Battalion. 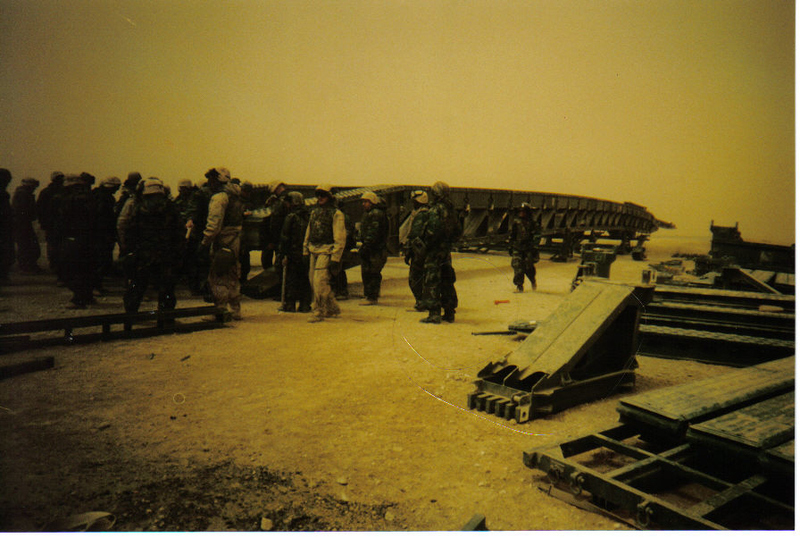 In Operation Iraqi Freedom, 6th ESB was responsible for fueling coalition forces as they moved northward through Iraq. They also provided purified water supplies to the Marine Corps desert and urban encampments. During Iraq's worst sandstorm in 20 years, Marines of the 6th ESB constructed the longest fuel line in the history of the Marine Corps. In 2011, Marines from Engineer Company C deployed with CLB-4 to Camp Leatherneck, Afghanistan. From 2012 to February 2013, 200 Marines from various units in the battalion, supported by individual augments from 6th Communications Battalion, deployed under the title of Engineer Company Bravo. The company integrated into Combat Logistics Battalion 2, serving in Helmand Province. The majority of the company was based out of Camp Leatherneck, with small detachments of Bulk Fuels and Utilities Marines supporting more than a dozen sites throughout the Area of Operations. Combined teams from the engineer, motor transport, and heavy equipment platoons conducted extensive construction projects and road repairs for infantry and special operations units throughout the northern half of Helmand Province. Wikimedia Commons has media related to 6th Engineer Support Battalion.